F Delamothe', 1776. 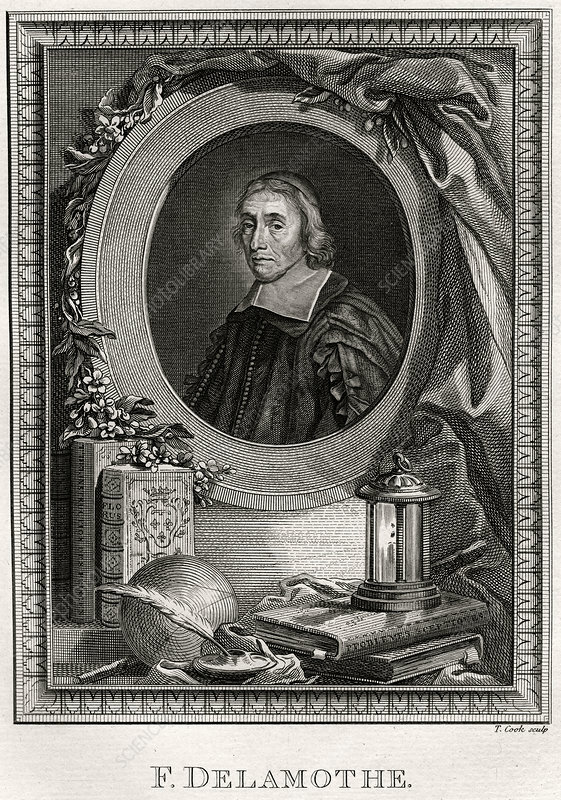 Francois de la Mothe Le Vayer (1588-1672) was a French writer. A plate from The Copper-Plate Magazine or A Monthly Treasure, London, 1776. Artist: T Cook.